Food production is dependent on weather and climate. Agriculture must always be planning and preparing for weather or responding to weather as it happens. Adaptation to weather and climate has occurred since farming started and will continue to occur as we move forward in the future. The rate of adaptation is the key to keep up with the rate that the climate changes. Climate Change Adaptation is the most common terminology used to discuss how organisms and ecosystems adjust to changing extremes or patterns in weather over time. Most cities and states are drafting plans to help prepare for weather events such as flooding, extreme heat events, disease outbreaks, and others. Risk Management is a term more commonly used in business and refers to the process of identifying, assisting, and prioritizing of risk followed by some application of resources (usually time or money) to prevent or minimize the negative consequences. 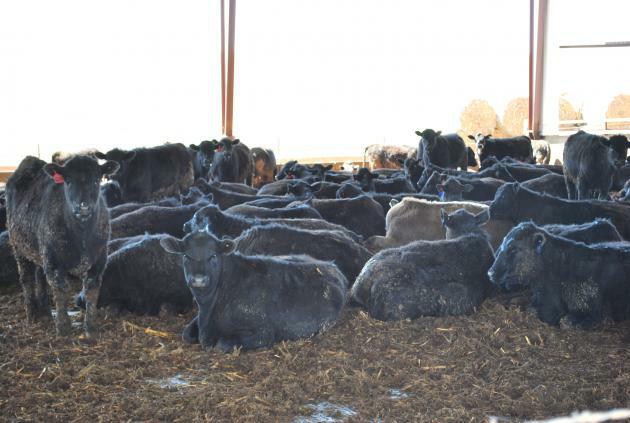 A report from Iowa Beef Center in 1995 discussed a survey of beef producers who lost cattle in a 13 county area over a 2 day period. For those farmers loosing animals, the impact was significant but a quote from the paper sums up the cost benefit decision that must be made when planning for a changing climate. This is a real and critical question that must be asked. What if this similar type of heat event started occurring every 10 years, or every 5 years? This changes the equation when looking at risk and reward or cost benefit to the implementation of practices or systems to deal with extreme heat. Adaptation strategies lay on a continuum with the least drastic listed first (increasing resilience) and most drastic last (transformation). Increasing resilience is a level of adaptation that is similar to what has occurred in the past. As climate changes, technologies or management improves or adjusts to those changes. Resilience has resulted in animal housing, irrigation, diet, genetics, management and other factors that allow farms to be profitable with standard weather variability. Reducing vulnerability is adaptation at the next level with larger and longer term changes in an existing operation to reduce the risk of current or future climate trends. Things such as bringing in heat tolerant genetics, additional cooling capacity in the buildings, or farm diversification. These strategies require a higher investment and are focused on operational changes that allow for profitability into the future. Adaptation through transformation are those changes where the current farming system is nearly abandoned due to climate changes. Complete changes are made in cropping or animals or a new business venture replaces the one on the current site. Transformation might also include the general migration of an industry to a new climate region. Any adaption strategy must be chosen as a function of the site specific features of the farm. Geographic location, current management, current finances, long term and short term farm goals and other considerations need to be made when evaluating farm management and business changes. In addition, the strategy must be based on the current or predicted trends in weather and the impacts this might bring to the farm. A farm prone to flooding in a region where flooding trends are increasing may be interested in a transformational adaptation strategies like relocation than a farm that never experiences flooding. Cost benefits of these adaptation strategies are not simple. If we were only comparing damage cost to the cost to prevent the damage, the calculation would be simple. Unfortunately, the damage cost is a function of the probability of the weather event and its intensity. For now we must rely on recent weather trends and future climate predictions. Therefore, it is important to be informed about climate change, the impacts of climate change on a local and global level and the economics of adaptation options. Site assessment and planning are key to making good long term adaptation decisions. If you would like a copy of the original slides or downloadable copy of the video, please fill out this form. If you use these materials for educational purposes, please send an email to e.whitefield@wsu.edu with how you used the video and how many people watched, to help us improve our resources and document our impact. This material was developed through support from the USDA National Institute for Food and Agriculture (NIFA) under award #2011-67003-30206.